Activision and Treyarch have released a near four minute trailer for Shadows of Evil, the prologue for the Call of Duty: Black Ops III Zombies mode campaign. Set as if in a 1940s film, it will feature the voice acting talents of Jeff Goldblum, Ron Perlman, Heather Graham, Robert Picardo, and Neal McDonough. This is just one of the zombie survival co-op storyline experiences that Call of Duty: Black Ops III will be releasing. 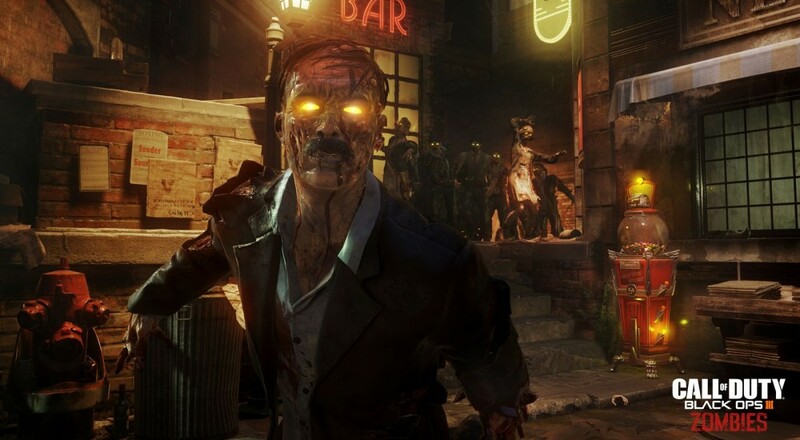 The additional one being titled “The Giant” will feature alternate versions of the original Zombies characters from Call of Duty: Black Ops II. This along with the first ever 4-player co-op campaign feels like a great added value on top of the multiplayer the series is praised for. The zombie mode will be available when Call of Duty: Black Ops III becomes available for PlayStation 4, Xbox One and PC on November 6th. The game on PS3 and Xbox 360 will feature all of these modes with the exception of the games main campaign.